Gordon is managing partner of Allan McDougall Solicitors. 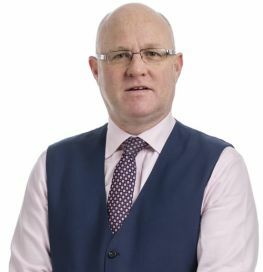 A specialist in employment law and personal injury cases, he has over 25 years’ experience, having joined the firm as a trainee. Gordon regularly acts on behalf of one of the UK’s leading trade unions. He has extensive experience of all aspects of employment law and regularly appears in the Employment Tribunals and in the Employment Appeal Tribunal. He also has considerable experience of dealing with reparation cases in the Sheriff Court and in the Court of Session, Scotland's supreme civil court.